Synopsis (from Goodreads): This is a world divided by blood - red or silver. I’ll admit it. 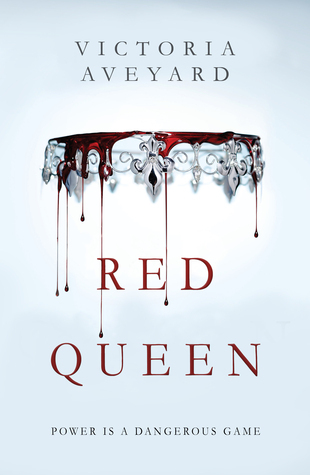 Red Queen was a cover buy. How could you resist a cover as gorgeous as this one?! I knew Victoria was heading to YALLFest, and it wasn’t until about a week before my trip that I final bought her book after having it in iBook form for a month or two. I’m so glad I bought the physical hardcover, because that motivated me to read the book on the car ride up to South Carolina. For a cover buy, I lucked out because I head-over-heels loved it. This book was pitched to me as X-Men meets Game of Thrones, and while that certainly comes through, I believe the story is so much more than that. In the world of Red Queen, humanity has evolved to the point where society is divided by the color of your blood – red or silver. Reds are subjected to the slums, living in poor conditions and forced into labor early in life or drafted to fight in a war that isn’t theirs to fight. The silverbloods are the ruling class in this hierarchy, and unlike the reds they have abilities ranging from telekinesis, superstrength, control over fire or water, and a wide range of other abilities. They value strength and power above all, and in their royalty they rule the kingdom of Norta, sitting high and mighty and living the good life while reds are forced to grovel and submit to the silvers’ rule. Mare Barrow is just a couple months away from inevitable conscription into the army when her best friend gets drafted, and she knows she must do whatever she can to protect him. All the while, a mysterious force is at work, one who calls themselves the Scarlet Guard. The Guard wants to bring down the Silver hierarchy in an attempt to get justice and equality for reds and silvers alike. But this is only the beginning, and what lies in store for Mare is nothing short of electrifying. This book has it all – intense action, precise elegance, an incredible and unique world unlike many on the YA market at the moment, a heroine who don’t need no man, two beautiful princes both vying for her heart, deceit, plot twists, daring and emotional scenes, and altogether one wild ride. There is something that appeals to everyone in this book, and I could go on and on about the qualities I like most about it – the fact, for instance, that Mare is a strong female character who is strong without a romantic interest and equally herself when she has one, the fact that her guy best friend never crossed into love interest territory, a refreshing commentary on the classist and racist system we are doomed to fall into if we today don’t do something about it, and so much more. I adored Cal, through and through, even when Mare didn’t. Maven seemed like such a sweet boy, someone I could see myself becoming friends with. The queen, Elara, made my skin crawl with the pure spite and hatred she radiated. Then we have Mare, whom I saw myself in in a lot of ways, but mainly in her drive to fight for her beliefs. The secondary characters who filtered in and out of focus throughout the story felt very real and well-defined, and never like they were being pushed aside in favor of the main characters – mostly because these secondary characters were heavily involved in the story’s plot and were a main driving force of the movement of the story. Farley and Kilorn defined the Scarlet Guard and what it meant to have a cause to fight for so whole-heartedly. Evangeline reminded me of a younger Elara, just waiting to get her claws around whatever prince would get her the throne. Mare's family made you feel like Mare's fight wasn't for nothing. Julian and Lucas gave me hope that there are still good, kind people among the Silvers who don't only care about strength and power above human kindness. You felt something for each individual character who came into play, whether they were a main character or secondary. I give this book a full-on FIVE stars because it was just so dang good! The characters were real and likeable, the world-building had an insane amount of exposition in the first few chapters but was so artfully crafted that Vic pulled it all off so well, and the story itself was unlike any other I’ve read in a long time. It was gripping and exciting, it kept you turning the pages, eager to know what happens next. As for the sequel... Victoria has confirmed that this series will have four books, the third of which she is currently drafting. During the Q&A session in the Red Queen meetup I was incredibly lucky enough to attend at YALLFest, Victoria would not reveal the working title of her third novel! But we can at least expect to see Glass Sword, the sequel to Red Queen, hit the shelves in February of 2016. I was able to snag a coveted arc of the book and am eager to find out what is in store for Mare and her friends in the pages to come! 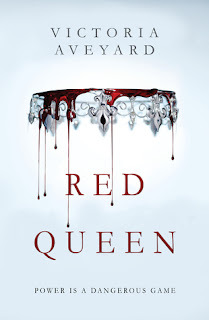 Have you read Red Queen yet? If so, tell me what your silver ability would be in the comments! I would love to be a singer, or maybe a shadow! And stay tuned for a Red Queen playlist!